With the primary location in South Florida, Stonegate has developed a customized approach to understanding characteristics inherent to the specific requirements of this market. In doing so Stonegate meets the security needs of corporations and individuals throughout South Florida. Via this specialized focus, we will deliver the highest quality of security services to each of our customers. There are variations in types of security companies and the services provided. Whether implementing security strategies for your home, business or special event, Stonegate will assist in identifying security needs with the ultimate goal of delivering reliable, individualized high quality services. Stonegate focuses on advance planning, risk assessment, event crowd control and provisions for emergency response. Our team of professionally trained security guards and officers are experienced and equipped to handle any security challenge. Whether on patrol or by surveillance, Stonegate guards are prepared to reliably meet and resolve your security needs. We invite you to explore our Website to learn more about our comprehensive list of security services. • SAS brings you well trained, highly experienced, security professionals and competent management staff with a shared vision of partnership for security with our clients for outstanding service delivery. • SAS provides comprehensive assessment of our clients needs and delivers customized options to meet your individual requirements and budget. • SAS delivers to clients a return on investment, as evidenced by customer satisfaction, decreased security breaches, and reduced risk and/or incidents. Stonegate has developed a strong presence as a new provider of successful security solutions to clients in South Florida. SAS employs security professionals with employment backgrounds encompassing decades of law enforcement and military operations experience. It is the employment of these capable, tenured, security experts has laid the foundation for optimal security service delivery. SAS is ready to help you achieve and surpass your security goals by using our tried and tested combination of highly experienced security professionals and unsurpassed security strategies. This is an approach that we have been successfully implementing since our inception, and one which we would like to share with you. Since first launching, our growth continues, slow and steady to this day - with the assurance of maximum quality and outstanding service. • University of North Carolina, Chapel Hill - BA Speech Communications 1991. 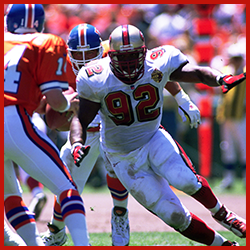 • Drafted fourth round to the Minnesota Vikings in 1992. • Became a Starter 2nd year with Vikings. Played alongside Hall of fame players John Randle and Chris Doleman. 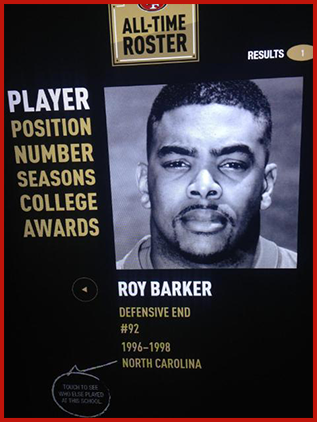 • Defense was number #1 in 1993. NFC Central Champs 92 & 94. 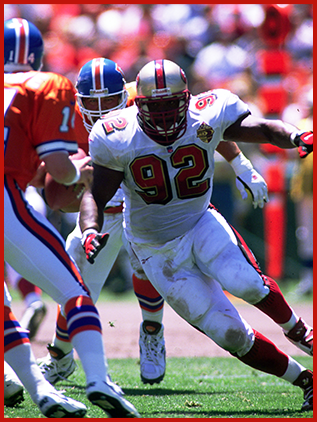 • Was a three year starter with Vikings before signing with the San Francisco 49ers In 1996. • Starter with San Fran 3 years. Registering 30 sacks. NFC player of the week October 25, 1998 registering 4 sacks. • Lead the team in sacks 1996 with 12.5. • 1997 NFC West Champs. Made it to the NFC championship game with 12 - 4 record. • Traded to Cleveland 1999. Inaugural comeback season. • Finishing back with Minnesota 2000 season then retiring. • 2001 - 2006 Starting Recon Holdings and Apollo management. A property holding corporation and Management Company. • 2003 - 20012 Opening Florida Health Services (Durable Medical Equipment Company) that serviced Medicare patients. • 2012 Started Stonegate Allied Services LLC. A security agency specializing in corporate, executive, patrol, construction and event protection. 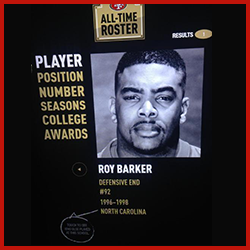 • Roy Barker Foundation 1993 - 1998. • Goal to help inner city youth stay out of the streets and give a positive outlook on life and community. • Held food drives during Thanksgiving and Christmas. • Held youth football camps at inner-city schools. • Sponsored celebrity basketball games to raise money. The security industry is one of the most rapidly growing industries in the world, offering opportunities to create solutions that impact the lives of countless people. As an entrepreneur, seeing an opportunity to utilize my business acumen while helping others is personally rewarding and allows me to contribute to society’s overall well-being. Seventeen years experience in Private Investigations organized and conducted hundreds of investigations through records research, witness interviews, and still and video surveillance. Performed computer searches using National Databases in order to locate missing persons and conduct asset searches. 17 Years in loss prevention / personal protection departments, manager and staff training; conducted comprehensive needs assessment, recommended improvements Ensure proper operation of physical building security, alarms, and camera surveillance system. Prescreen/train loss prevention/protection staff; enforce policies and procedures; devise incentive programs. Implement inventory control audits and investigations. Hire/terminate, train, schedule, and oversee personnel; delegate responsibilities. Respond to client needs and queries; act as liaison with vendors. Provide cost analysis, budgeting, specifications/proposals, and service maintenance contracts for commercial accounts. • State of Florida Private Investigator. • State of Florida Security Guard. • State of Florida Statewide Firearms. • State of Florida Firearms Safety Course. • Basic Life Support - CPR/AED Certified. • Icon Celebrity & VIP Protection. To obtain a position in public service that will utilize my experience in networking and security with emphasis in labor management and protective services. • Owner and President of Cooper Executive Protection Services, Inc. July 2012. • Security Assistant Director, Morgan Group Hotels, Shore Club, October 2008 - March 2012. • Bail Bondsman, Miami, FL, October 2009 - March 2012. • Certified Private Investigator State of Florida, March 2008. • Lowe’s Home Improvement Store Clermont, FL March 2006 - March 2007. • Corporal, Florida City Police Department, Florida City, FL, 1995 - 2005. • Reserve Police Officer/Corrections Officer, Homestead Police Dept., 1989 - 1995. • Customs Protection Officer and Investigations, Wackenhut Security Corp., Miami, FL, 1989 - 1995. • Miami Dade College, Vocational training Bail Bond Agent, 2009 - 2010. • University of Phoenix, Undergraduate studies, 2008 - 2010. • Certified, Law Enforcement Academy, Miami - Dade Community College, 1993. • Miami - Dade College, Undergraduate studies in law enforcement, 1989. • Licensed Law Enforcement Officer. • Licensed Private Investigator/ Licensed Manager of Investigations and Security. • Licensed Surety Agent/Bail Bonds Man. • Certified Field Training Officer. • Certified in FCIC and NCIC, Certified in Interviews and Interrogations. • Line Supervision trained for law enforcement management. • Red Cross Certified in CPR and Advanced Life Support/Life Saving Techniques. • Certified in Field force techniques. • CCTV security and maintenance of the camera systems. • Florida City Police Department Citation for Life Saving efforts (2). • Employee of the Month, Florida City Police Department. • Employee of the Quarter, Florida City Police Department. • Nominated, Officer of the Year, Florida City Police Department. • Motor Unit Police Officer, December, 2013-present. • Reserve Police Officer, August, 2013 - December, 2013. • Security Manager, March, 2012 - April, 2014. 2 nightclubs, and 3 bars that attracted hundreds of non-hotel guests patrons each day. • Assistant Security Agent in Charge, November, 2010 - February, 2012. Maintained general orderliness of the casino floor and safety of casino patrons and staff; supervised the security staff and monitored casino premises and patrons for potential security problems; report writing, investigated incidents, removed unruly patrons, resolved disputes, and escorted personnel for cash movement. Able to provide captain's services to ride, run and maintain both private and commercial vessels up to 100 tons. Licensed to instruct students through all courses in scuba diving including Open Water, Advanced Open Water, Emergency First Response, Rescue Diver and Divemaster. • Basic Law Enforcement Academy. • Florida Concealed Weapon of Firearm License. • Security Officer Instructor License. • USCG 100 Ton Captain's License. • Member of the American Professional Captains' Association Drug Consortium. • PADI Master Scuba Diver Trainer. • Emergency First Response Instructor & CPR/AED Certified. • Transportation Worker Identification Credentials (TWIC). • Over 20 years of technology consulting and information risk management experience. 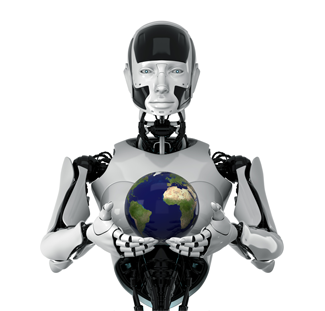 • Consulted numerous fortune 500 customers for their technology needs. • Over 10 years experience in Engineering and Bio Medical Sciences. • BS Computer Engineering, University of Michigan. • Doctor of Physics, University Michigan.